The Newport Festivals Foundation announced the 2011 Newport Folk Festival line-up today. 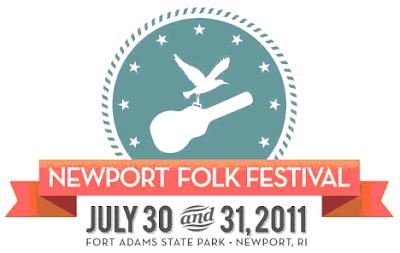 The festival will take place in Newport, RI on July 30 - 31. They are also welcoming a new partnership with jewelry company Alex and Ani. Ah yes, two of my favorite things, music and jewelry! Tickets for the festival go on sale Thursday, March 31 at 10AM! Tickets for the Newport Folk Festival go on sale Thursday, March 31, at 10:00 am on-line, by phone and by mail. General admission tickets (single-day passes only) also can be purchased in person at the Newport Visitor Information Center, located at 23 America’s Cup Avenue. There will be a festival office in the Newport area where tickets can be purchased in person at a later date. For general information, craft vendor information or to leave a message for festival staff, call the festival hotline at (401) 848-5055. For more information, log on to www.newportfolkfest.net.